Imagine the possibilities if $840 million of federal funding was channelled into training youth in the volunteer sector rather than supporting for-profit businesses, writes Sue Noble, CEO of Volunteering Victoria. The federal budget and its proposal to introduce $4-per-hour internships for unemployed under 25s has already been broadly debated and criticised. The PaTH (Prepare, Train, Hire) program proposes to provide intensive workplace training for young people who have been on Newstart for six months or more, followed by the option of undertaking an internship at up to 25 hours per week, for up to 12 weeks. In return, the young person receives an additional $100 per week on top of their Newstart allowance. The employer receives a free employee (paid for by the taxpayer) for up to 300 hours, a $1,000 bonus upon completion of the program, and is under no obligation to employ the young person once the internship is over. Employers in this program can come from any industry. Cafes and supermarkets were promoted as positive examples by the government in the budget overview, whilst Senate estimates confirmed that even the beleaguered 7-Eleven chain could employ interns free of charge under the PaTH program. It’s quite clear that this is a program aimed at the business market but it’s less clear what the skills benefit transfer is for participants. Research from Interns Australia has found that 81 per cent of internships do not lead to a job. The Australian Council of Trade Unions, based on legal advice they have received from Maurice Blackburn, has said that the program may even be illegal under the Fair Work Act. Yet imagine the possibilities, if this program centred not on taxpayers paying for-profit business to engage free labour, but on training and mentoring young people in the Not for Profit sector through a properly funded volunteer management program. Now let’s make one thing clear straight up: we want to make sure that any program that encourages greater youth involvement in the volunteering and Not for Profit sector is done fairly. It is very important to distinguish that interning is not volunteering. Volunteering is defined as “time willingly given for the common good and without financial gain” – the government’s PaTH program does not achieve this. Interning at a pizza restaurant or a grocery store does not benefit the common good, it merely benefits the business-owner who is receiving free labour as they profit. For a program like this to work in the volunteering sector, involvement and choice of organisation must be truly voluntary. We are also concerned by claims made in the Senate which estimates that participants in the PaTH program will be covered not by traditional employee health and safety laws, but only maybe – and this is a big maybe – by Work Health and Safety Act 2011 volunteer provisions, in the states where those provisions apply. In Victoria that is not the case, and even so we know that the legal definition of volunteering is very different to the definition of interning, leaving this open to a lot of interpretation and grey area. We are awaiting further advice on this aspect of the program from Justice Connect Not for Profit Law. As the program currently stands, we would strongly caution volunteer-involving organisations considering participation in the PaTH program. Forced “volunteering” by definition is not volunteering. As such, Volunteering Victoria does not support government programs which require young people to volunteer, and we additionally do not support government programs that ask young people to work for an hourly rate that is below the minimum wage and poverty line. But a program that provides unemployed young people with the opportunity to be paid to give back to their community, while they gain experience working in a Not for Profit; a program that simultaneously funds volunteer managers to train that young person and possibly even keep them on, funded by the government, at the conclusion of the program – that’s a program with possibilities. Six million people across Australia volunteer each year, contributing an estimated 743 million hours and $290 billion to the Australian economy. However, for the first time ever, the 2014 ABS General Social Survey indicated that the number of volunteers was decreasing. Contrary to popular belief, this decrease isn’t centred on the younger age groups. It is actually concentrated in the 40 to 60 year old age bracket, whose parenting and grandparenting responsibilities are increasingly having an impact on their availability to volunteer. It’s the way that young people choose to volunteer that is changing. Rather than volunteering at the same community organisation at the same time every week, young people often prefer spontaneous or isolated volunteer opportunities that require less of a long-term commitment from their over-saturated lifestyles. 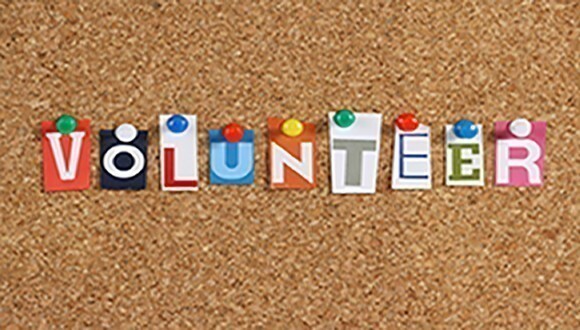 Volunteering Victoria is eager to see more young people giving back to the community through regular volunteering. According to the report Youth Volunteering in Australia, an evidence review, “there is a body of research which indicates that volunteering increases young people’s skills for employability, including the social capital, open mindedness, international understanding and other soft skills that formal educational institutions cannot engender”. It also suggests that volunteering boosts young people’s employability. International research suggests there is a link between volunteering and an increase in employability. In 2011, research conducted by LinkedIn found that “41 per cent of hiring managers consider volunteer work equally as valuable as paid work experience when evaluating candidates”. That’s why we applied for a federal government Empowering Youth Initiative grant to promote volunteering as a pathway into the paid workforce. This program would have identified, engaged and deployed at least 500 15 to 24 year olds from Melbourne’s western suburbs and the Bendigo region – areas with significant youth unemployment – into work-life volunteering roles, with the ultimate goal of paid employment. That funding application was unsuccessful. And while it was pouring $840 million into a program that supports for-profit enterprise to hire staff at cost to the taxpayer, the federal budget was also slashing funding for volunteer management through the Strengthening Communities grants under the Department of Social Services, to the tune of $8 million less in 2016/17 than in 2015/16. To us this makes no sense. Volunteer management is a critically underfunded component of the Not for Profit sector. It requires urgent attention if we are to provide volunteer-involving organisations with the support that they need for their programs to operate successfully. Organisations in the Not for Profit sector provide tangible good to the Australian community at large. A 2010 Productivity Commission report identified 59,000 economically significant NFPs, contributing $43 billion to Australia’s GDP, and 8 per cent of employment in 2006/07. Using Australian tax dollars to fund further involvement in the Not for Profit sector, rather than in for-profit industry, is not just an excellent return on investment. We’d argue that it’s also common sense. We think the majority of Australian taxpayers would prefer to see their hard-earned tax dollars go toward increased youth employment in the Not for Profit and charitable sector, rather than at 7-Eleven, Pizza Hut and Woolworths. And we think that volunteer managers could put those incentives offered to better long-term use by employing young people in areas of need that are currently grant-reliant and desperately underfunded. Rather than funding potentially “illegal” internship programs in for-profit businesses that already have the capacity to train and employ staff legitimately, we suggest the government should put this money into improved volunteer management and compensated youth volunteering-as-a-workplace-pathway programs in the Not for Profit sector. That sounds full of possibilities. 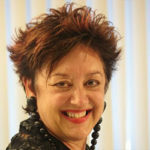 About the author: Sue Noble has been CEO of Volunteering Victoria since 2012. She is also a member of the Victorian Government’s Ministerial Advisory Council for Volunteers, a member of the MAC’s Sector Collaboration and Leadership & Stewardship Sub-Committees, and the chair of the MAC’s Valuing and Positioning [Volunteering] Sub-Committee.